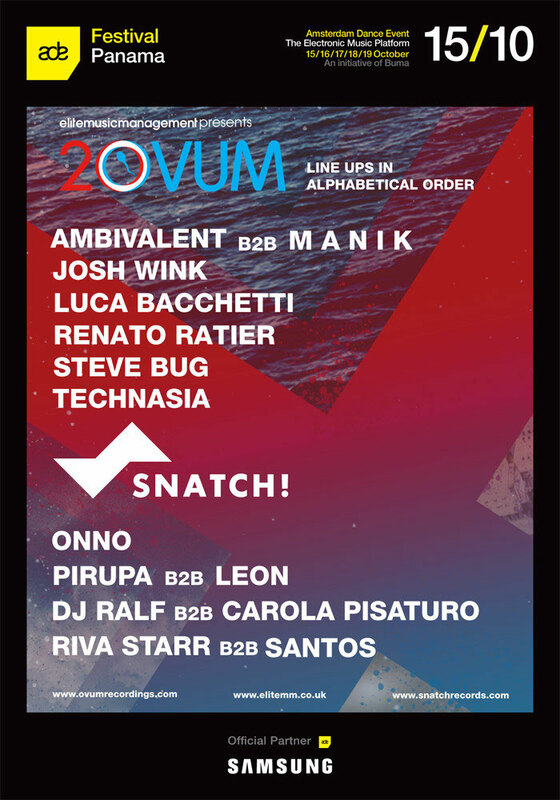 In 2014, Josh Wink's Ovum Recordings celebrates its 20th anniversary. To honour 20 years of making you dance, the imprint is embarking on a world tour that takes in Amsterdam for ADE tonight. Guests alongside Wink include longtime label friends and collaborators, Steve Bug, Ambivalent, MANIK, Luca Bacchetti, Technasia and Renato Ratier. Before the event, Ovum will do a special BE-AT TV live stream, from 17:30-21:30 (European time), at the MacLoud studios with Josh Wink, Steve Bug, Technasia and Ambivalent. With a DJ career spanning over two decades, Josh Wink is one of the longstanding artists in dance music. A man who affirms integrity as one of the most important qualities, has displayed this again and again, by staying true to beliefs and following his own path in music. His new single 'Talking To You' has been played by many DJs during the closing parties in Ibiza. Supported by Carl Cox, Jimmy Edgar, Skream, Jamie Jones, Boys Noize, Erol Alkan, Eats Everything and many more, alongside this there has been BBC Radio 1 support from Pete Tong, Annie Mac, Heidi and Annie Nightingale.